I’ll be taking part in Read for Pixels’ Google Hangout on Sunday March 19th, 4pm Paris Time, to raise money for The Pixel Project’s fundraising campaign to fight violence against women. 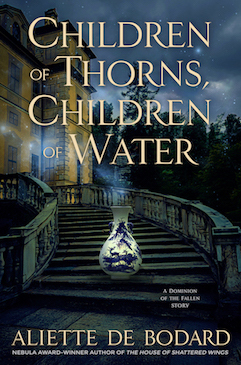 I’ll be reading from my forthcoming The House of Binding Thorns: ruined and decadent Paris, magical intrigues, dragons in human shape, and kissing and stabbing (not necessarily in that order :p), and taking questions about my writing. 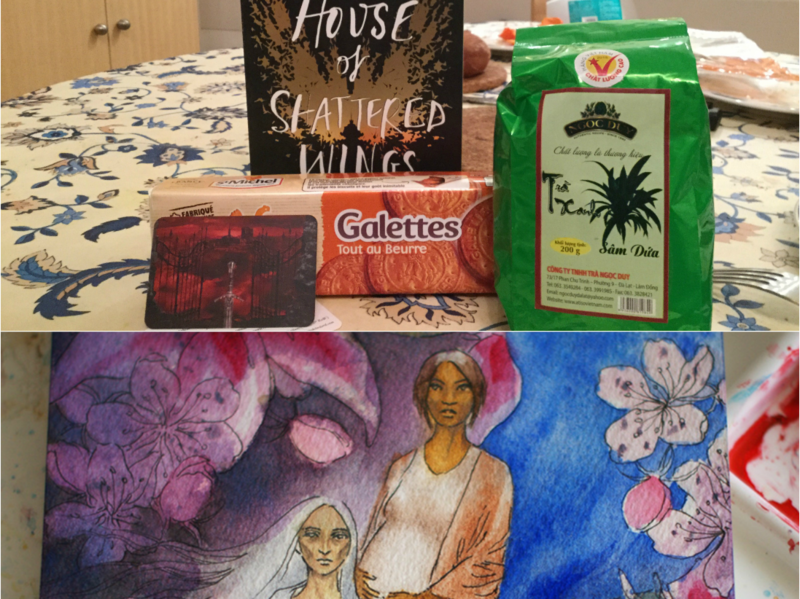 I’m also offering a Parisian Bundle for the fundraiser, which will let you curl up with The House of Shattered Wings, good food, and a print of gorgeous artwork by Likhain, featuring Françoise and Berith, two characters from The House of Binding Thorns (a Fallen and her mortal lover). I will be attending the 2017 Eastercon in Birmingham. You can find my schedule here. 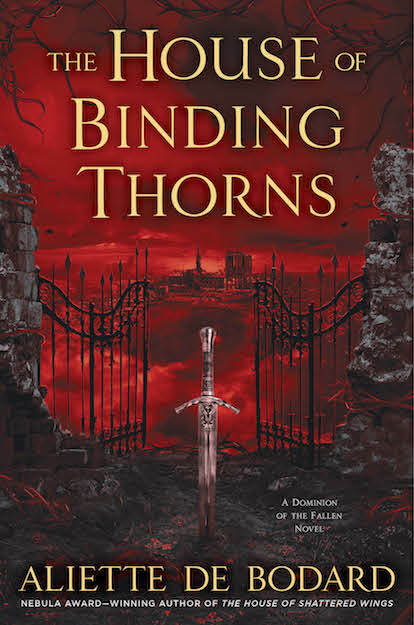 I’ll be reading from my recent release The House of Binding Thorns. A reminder that I go to cons specifically for meeting people: I’m always quite happy to stop and chat if not obviously on my way to somewhere else, and I won’t bite! (also quite happy to sign whatever you have to hand if you want an autograph). I will be attending the worldcon in Helsinki, Finland. More details as I have them. 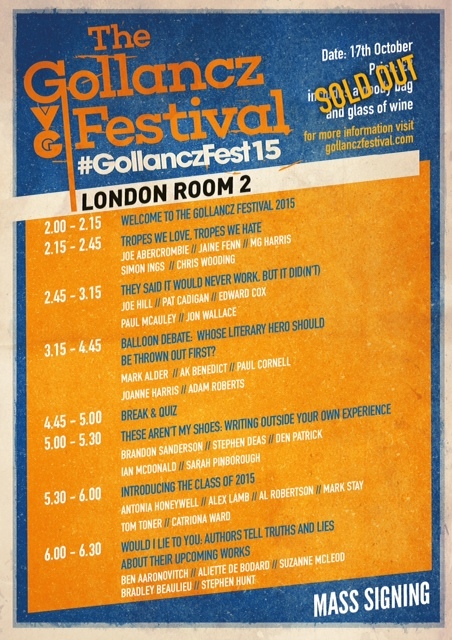 Start Time: 19:00, room open from 6pm, fans gathering in the bar downstairs from 5pm onwards (I’ll likely be in the bar around 5pm because I’m arriving pretty early in London). 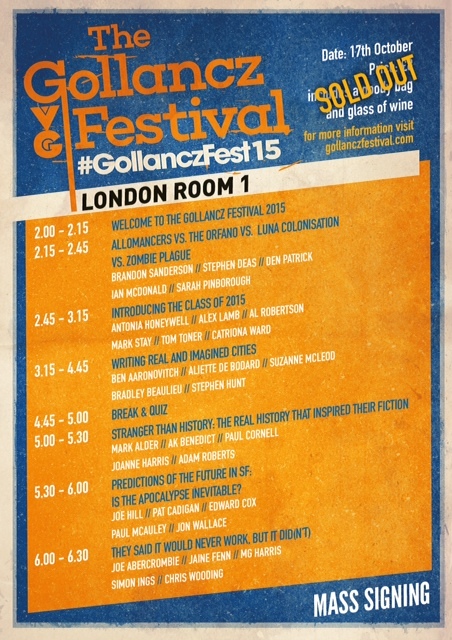 This is a free event, and you don’t have to be a member of the BSFA to take part (non-members are welcome, in fact!). The interview will start at 7 pm. Just a quick note that I’ll be dropping by Forbidden Planet in London (179 Shaftesbury Avenue, London WC2H 8JR) to sign some stuff Saturday 6th February at 15:30. 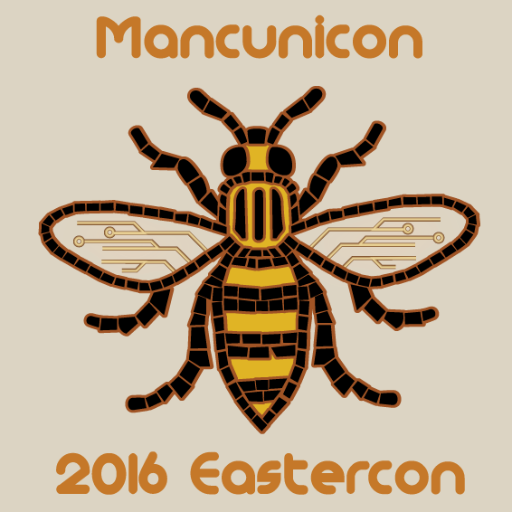 I will be a Guest of Honour at the 2016 Eastercon in Manchester, along with Ian McDonald, Sarah Pinborough and David L Clements. 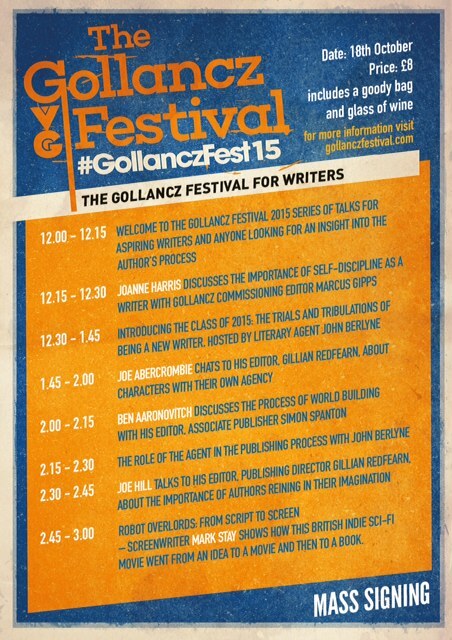 So… will be briefly in the UK (London/Manchester) this weekend, for the Gollancz Festival. 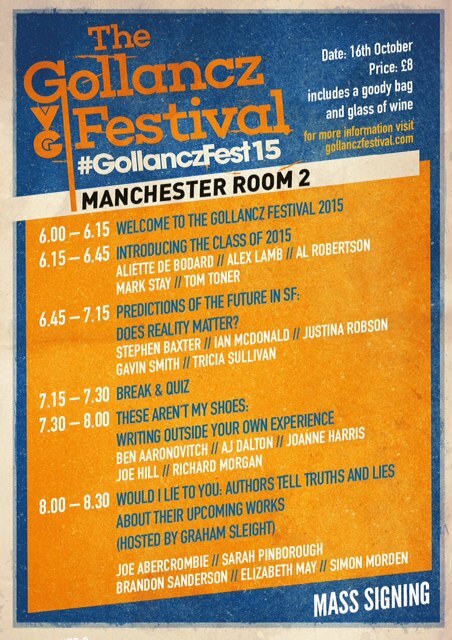 My full schedule (and the face-to-face schedule of all events) is here: note that both Manchester on Friday and London on Saturday have sold out, but there are still spots for the Sunday event. Though sadly I can’t do the mass signing on Sunday, as I have to get home. 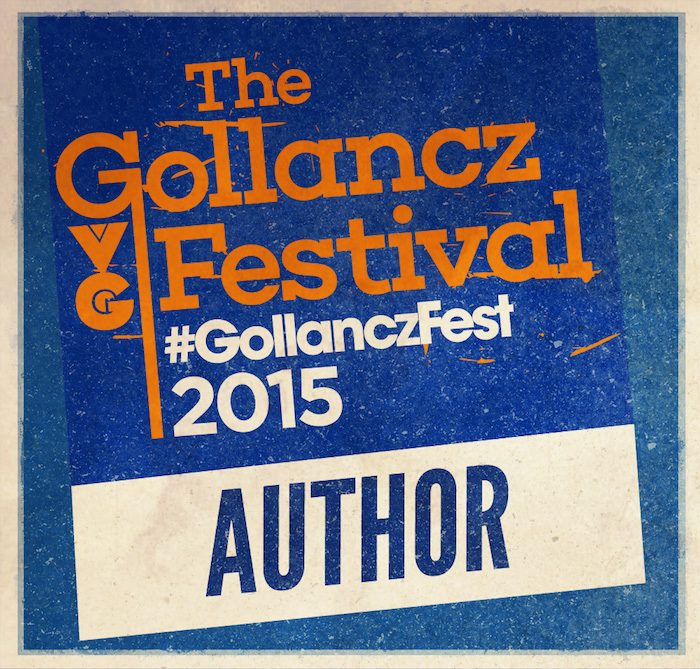 -Friday 16h00: Signing session (bookshop). I’m not too sure what I’ll actually be signing other than issues of Galaxies, but hey. I have postcards! 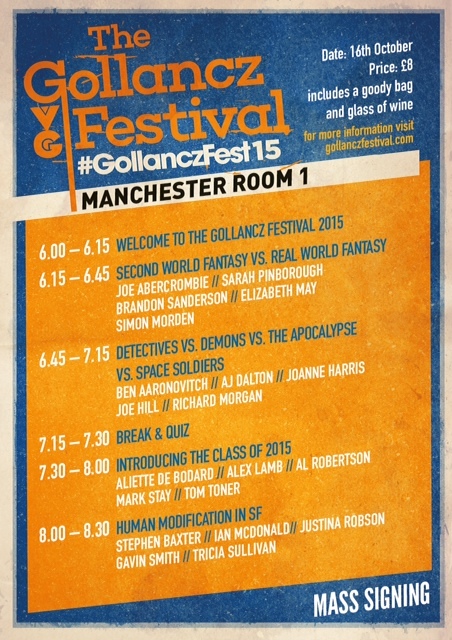 Proud to be a part of the Gollancz festival, a weekend of events in Manchester and London. See here for more details. I will be a Guest of Honor at Stranimundi in Milan, Oct 10-11, 2015.